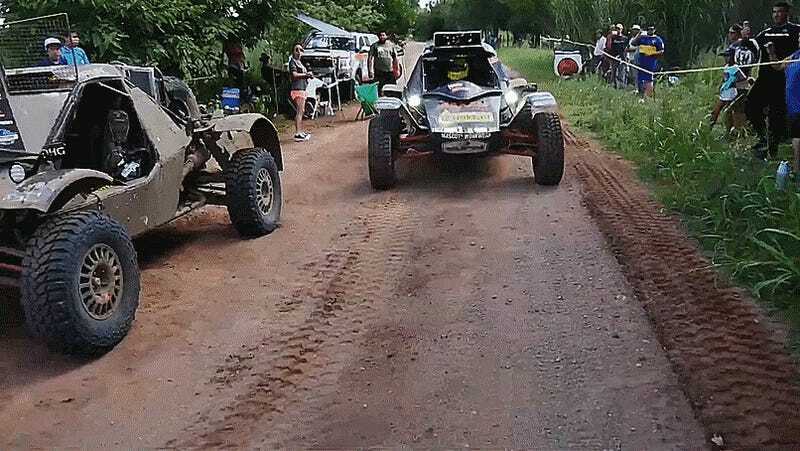 Buggy-racing twin brothers Tim and Tom Coronel are both at Dakar this weekend. Unfortunately, Tom broke down with an electrical issue he couldn’t diagnose. Luckily, Tim showed up soon and knew how to fix it, as he’d encountered a similar issue with his own buggy. I guess it pays off to race the same kind of vehicles, too. Skip to 1:00 if you want to see the brothers in action. Tim ate some time from his own race to get his brother back in action. Now that’s what you’d call brotherly love. While Tom encountered more issues later on in the stage, Tim’s fix was at least enough to get Tom moving for a little while.